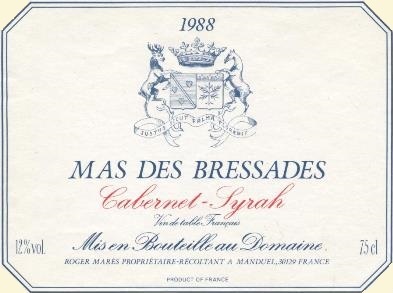 The French wine growers Mares in Manduel near Nimes draw their arms on the wine of their Mas des Bressades in an alliance of Arms. The shield Mares is supported by a deer. Coat of Arms: Blue, a bend silver between three golden hearts, one in chief and two in base. Alix Marès is currently the gérante of the Château Puy Castera Cissac-Médoc in Bordeaux. Her family is akin to that of Nîmes. 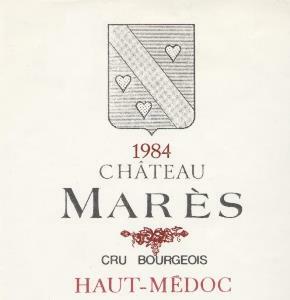 On the the label of her wine called Chateau Marès is placed her Coat of arms.